Financially support ministries in our partner countries. How Can I Give to One of These Projects? If you would like to give online to any of these projects, select “Account Number” from the pull-down menu and type “Keywords” in the “Other Comments” box. If giving by check or direct deposit, write this information in the memo line of your check. Mobilizing our members and churches in prayer and greater participation with UB Global. Sending an additional twenty new fulltime workers. Partnering with one another and with ministries that share our vision and values. Pioneering two new ministries among unengaged and unreached peoples. Your contributions to this project will be used to continue our efforts to engage more people to take action and part in what God is doing through the United Brethren among our neighborhoods and nations. Your contributions to the UB Global Team (previously known as the General Fund) funds this ministry. Located on the outskirts of San Jose, the Centro de Adoración a Dios is a growing church of some 150 members. It is our only congregation in Costa Rica, but its pastor Rev. Erik Rojas is frequently invited to other United Brethren conferences in Central America to provide theological and ministerial training. Your contributions to this project will be used to continue the work of evangelism, discipleship and the training of leaders so that this one church might become many. Many of our pastors in Guatemala come from humble backgrounds lacking education and the resources to pursue training for ministry. Your contribution to this fund assists pastors in attending ministry training schools in Guatemala. Guatemala has one of the highest murder rates in all of Latin America. Our 20 Guatemalan United Brethren churches continue to preach the gospel and plant new churches in the capitol region and the largely agricultural regions to the southwest. Your contributions to this project will be used to continue the work of evangelism, discipleship, and leadership development so as to multiply churches among those facing poverty and violence on a daily basis. Thailand is the biggest initiative we’ve launched in missions since 1987, when we partnered with Hong Kong Conference to plant churches in Macau. Updates and information on the project are at the Thailand page. The work of the United Brethren began in the northern mountains of Thailand among the Akha peoples in 1991. Today we have two churches in the mountains with approximately 400 believers. Currently, we are expanding our ministry to engage the majority Thai Buddhist in Chiang Rai where a multinational team of workers from Hong Kong, China, Honduras and the United States are focused on community engagement in order to present the gospel, make disciples and plant churches. Your contributions to this project will enable our team to complete the construction of a community center, offer a variety of programs to engage neighbors, continue the work of evangelism, discipleship, leadership development and church multiplication. This project provides for children who are part of the Beautiful Family program. These are children who have been infected with leprosy, or have a family member who has been infected. It will also cover all of the children that are part of Project Compassion, children who have lost their parent to AIDS and are also infected with HIV/AIDS. Your sponsorship provides school supplies, books, clothing, food, medical care and the opportunity to hear the gospel. The children stay in a “hostel,” which is like a dormitory, and go home periodically for holidays. This project provides hospitalization and home-based care for adults infected with HIV/AIDS. They gather on a monthly basis to receive a check up, counsel, some basic food/household items and a gospel presentation. Many of these people have become followers of Christ. DeltaWest provides a number of services and supports some of our ministry programmng in a less overt manner. The first project will provide low-cost home medical care for the poor, HIV/AIDS andsenior citizens. Many East Indians work abroad in South East Asia and the Middle East, leaving elderly parents to fend for themselves. This community service will sustainably meet a real need while expanding our reach into the lives of those who do not know Christ. Other programs willfocus on potable water, sanitation, education, women empowerment, and environmental care. 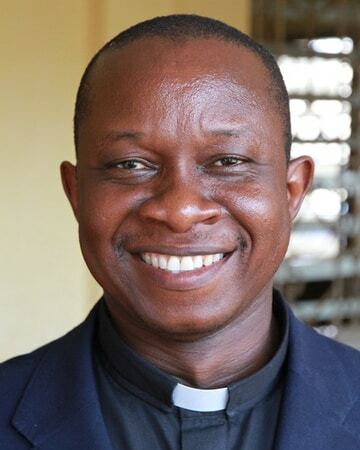 Three of the Sierra Leone National Conference leaders, Justin Marva, Peter Kainwo and Emmanuel Farma, are seeking to do graduate work at the Evangelical College of Theology. All three came to faith in Christ through the United Brethren and serve as members of the conference leadership team. Justin Marva is the conference administrator, Peter Kainwo oversees evangelism, discipleship and church planting, and Emmanuel Farma is responsible for Christian education. The total cost for the two-year program is $5000 each. They are committed to paying 10% themselves and are requesting help with the remaining $4500. Funds will be shared equally among the three. Help support the work of Mattru Hospital. These funds supplement the hospital and water packaging profits to pay staff salaries. Amount Needed: $20,000 per year. 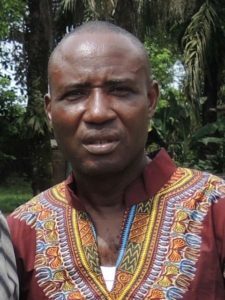 Help underwrite the ministry of pastoral education at the Evangelical College of Theology in Sierra Leone, where most of our pastors receive their training. Amount Needed: $8000 per year. 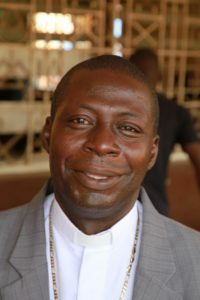 Centennial School, located in the town of Mattru Jong, Bonthe District has graduated more church and national leaders than any other United Brethren school in Sierra Leone. With more than 1700 junior and senior students, it continues to provide outstanding Christian and academic training to students from a broad geographic area. Your contributions to this project will assist the school in upgrading its facilities, library holdings and housing for students and instructors. Sierra Leone was the first West African country to be evangelized and the first United Brethren mission field when American missionaries arrived in 1855. Following years of struggle, an 11-year civil war and a recent Ebola epidemic, many threat to peace remain, corruption being the greatest. It is this context that our 110 United Brethren churches labor to continue reaching Muslims and Ethnoreligionist for Christ. Your contributions to this project will make it possible for our local pastors and members to continue the work of evangelism, discipleship, leadership development and church multiplication. Honduras is the only country in Central America to which UB Global sent missionaries. All other ministries in Central America were outgrowths of the church planting efforts of our 110 churches in Honduras. Honduras has also sent missionaries Milton and Erika Pacheco to join our United Brethren ministry in Chiang Rai, Thailand. Your contributions to this project will be used to continue the work of evangelism, discipleship, leadership development and church multiplication in Honduras and around world. Support the training of pastors in Mexico Conference. Our 45 United Brethren churches in Mexico are part of a growing number of evangelicals that are estimated to number over nine million (8%). Even the government is open to evangelical work to counter the seemingly unsolvable problems of gangs, drug trafficking, kidnappings and violence. Your contributions to this project will make it possible for our heroic local pastors and church members to continue the work of evangelism, discipleship, leadership development and church multiplication. Fund a leadership training event for Nicaraguan pastors. Amount Needed: $2000 per year. Nicaragua has seen a 40-fold increase in the number of evangelicals since the 1960s when Honduras sent workers to plant United Brethren churches. Today our 32 churches are part of the 30% that comprised the evangelical church in 2010, which shows no signs of abating. UB Global partners in Haiti with Christian Horizon Global. This organization has been working with our United Brethren churches and schools on the ground in Haiti to truly bring change in people lives and in their communities. CH Global has also made short-term work in Haiti, affordable for those going while providing meaningful help to the local community, as part of their long-term goals. Amount Needed: $41 per month to support a child in Haiti. Having experienced a devastating earthquake in 2010 that took the lives of an estimated 250,000 people, our 19 United Brethren churches continue to grow under the leadership of our Canadian United Brethren. Your contributions to this project will be used to continue the work of evangelism, discipleship, and leadership development so as to multiply churches and move this mission district to become a national conference. Rebuild the main camp building at Jamaica’s Malvern Camp. Regent College of the Caribbean, located in Mandeville, Jamaica, is a Christ-centered educational institution that offers programs of study in ministry, counseling, business and early childhood care and development. Founded in 1945 by the United Brethren in Christ, it remains the church’s primary ministry training center. 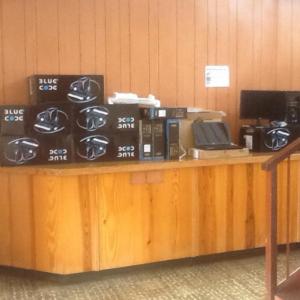 This year the college is working to upgrade its computer lab. They would like to purchase 15 refurbished computers. Dr. Bryan Wallace, President and Academic Dean has committed to raising the funds necessary to pay for 3 computers at a cost of $650 each. They have asked if friends of Regent and the Jamaican United Brethren would help them in raising $7,800 needed to purchase the remaining 12 computers. ***Update***: Some of the computers have already been purchased. Your contributions to this project will make it possible for the college to fund capital projects intended to develop its programming by expanding its facilities and updating its equipment. Jamaica has a wonderful Christian heritage and our 28 United Brethren churches spread out across the island share in this history. In addition to its local churches, the conference also operates Malvern Camp and Regent College of the Caribbean. Your contributions to this project will be used to continue the work of evangelism, discipleship, camp ministries, leadership development and church multiplication. Fund a leadership training event for church leaders in El Salvador. Amount Needed: $1000 per year. While some of Latin America’s largest mega-churches can be found in El Salvador, our 5 United Brethren congregations are located in smaller agricultural communities in the south of the country. Your contributions to this project will be used to continue the work of evangelism, discipleship, and leadership development so as to multiply churches among lesser-served communities. A former Portuguese colony, Macau is now a special administrative region of China. As such, our 2 local churches continue to function with complete freedom to do ministry. Your contributions to this project will make it possible for our local pastors and missionaries to continue the work of evangelism, discipleship, leadership development and church multiplication. Nine churches in Liberia are among our newest United Brethren congregations. Our leaders from Sierra Leone have been working diligently to welcome them into our worldwide fellowship by orienting them to our beliefs, doctrine, and practice. Many of their pastors have limited ministry training. Your gift to this project will allow us to assist pastors completing studies at local ministry schools and assist our Sierra Leonean leadership in making regular trips to Liberia to train and orient these new churches. Help International Needs Turkey minister to refugees who make their way to Istanbul. Amount Needed: $5300 per year.